2-3 student assistants needed immediately for the Map & Imagery Library. Duties include, but are not limited to, filing maps and atlases, maintaining databases, organization projects, assisting library patrons, other tasks as needed. The UF Small Animal Hospital at the College of Veterinary Medicine is hiring for the position of, Small Animal Hospital Technician. This individual is assigned to the Small Animal Hopsital with a primary focus on maintaining the hospital cleanliness and organization. In addition patient husbandry, maintaining established procedures , and provide a healthy, clean, sanitized environment for our patients. Responsibilities include: cleaning and sanitizing, sweeping and mopping floors, cleaning treatment areas, ordering/restocking supplies and food, assisting students and technicians. Will be required to work some weekends, holidays and evening shifts.This position requires a post offer health assessment. The Department of Chemistry is seeking an Engineering Technician II. The technician will work on repair, modification, and design of scientific and custom instrumentation. Repairing, maintaining, designing and troubleshooting electrical and electronic equipment for chemical research. Laboratory Technician to assist with natural resource conservation research and teaching programs at the West Florida Research and Education Center / UF, with locations in Milton and Jay. This is a TIME LIMITED Grant Funded position who will work performing laboratory procedures. Relies on experience and judgment to plan and accomplish goals. Works under general supervision. Performs research activities and other tasks as necessary in a laboratory and field environments. Records observations and measurements and reports results. Responsible for cleaning, disinfecting, and maintaining cleanrooms and equipment. Assists with receipt and inspection of raw materials, and ordering and stocking of materials and equipment. A certain degree of creativity and latitude is required. Typically reports to a supervisor or manager. The Department of Animal Sciences has established itself as a leader in teaching, research, and extension/outreach programs. Currently, the Animal Sciences Department has 37 tenured/tenure-track faculty positions, approximately 600 undergraduate and 87 graduate students. The Department has three beef units, two horse units, a dairy unit, a swine unit, a nutritional metabolism and sheep unit, and a meat processing laboratory. Incumbent is responsible to the Chair of the Department of Animal Science. This is a managerial position requiring extensive skills in coordinating operations for research, teaching, and extension programs within the Department’s farms. 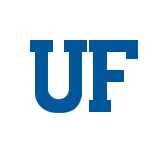 This UF position is housed at the UF/IFAS North Florida Research and Education Center- Suwannee Valley (NFREC-SV) in Live Oak, FL. The incumbent reports to UF/IFAS NFREC-SV Assistant Center Director. The incumbent is responsible for coordinating, planning, organizing, and providing support for educational programs delivered to agricultural and non-agricultural audiences in the Suwannee Basin. The position emphasis is focused on educational information for water and nutrient management, conservation practices, and Best Management Practices (BMPs). The incumbent will develop, with assistance of other partners, an outreach communications program to educate stakeholders in the region about research and Extension efforts, and success stories about adoption of best management practices. The incumbent is responsible for planning, conducting, and delivering educational events, and writing reports to document educational efforts and success stories. The primary role of this position is to develop, implement, and maintain web applications, sites, and content management system templates. This position requires broad knowledge of and experience with web development tools, including those designed for sites accessed by mobile devices. The functions of a Registrar's Office have developed into some of the most important administrative responsibilities in higher education. The Office of the University Registrar is responsible for developing, administering, and monitoring academic policy, records management, registration processes, classroom and examination scheduling, enrollment planning and student information technology. Comprehensive automated systems support almost every function and process. This position is responsible for facilitating the student information system integration between the Office of the University Registrar and the campus community. The position will coordinate university-wide institutional research and statistical requests. The responsibilities also include leveraging the changes in business processes that have been created by the new student information system environment, conducting data queries, overseeing data collection and management and performing complex data analyses as related to the student information system. The functions of a Registrar's Office have developed into some of the most important administrative responsibilities in higher education. The Office of the University Registrar is responsible for developing, administering, and monitoring academic policy, records management, registration processes, classroom and examination scheduling, enrollment planning and student information technology. Comprehensive automated systems support almost every function and process. This position is responsible for facilitating the student information system integration between the Office of the University Registrar and the campus community. Responsibilities also include leveraging the changes in business processes that have been created by the new student information system environment, conducting data queries, overseeing data collection and management and performing complex data analyses as related to the student information system. In addition, the position is responsible for the creation and management of student information system training material and documentation. This is work providing basic care of animals and animal facilities by completing primarily simple and routine animal care-taking and cage wash duties as directed by the Operations Manager or their designee, which may occur up to 50% of the time of overall job duties and responsibilities. All actions are completed by strictly and consistently following applicable ACS SOPs including safety procedures and policies. Reports any suspected or actual deviations to SOP’s or non-routine situations immediately to the Operations Manager or their designee. The Family Nutrition Program is a grant-funded program that helps limited-income families and youth acquire the knowledge, skills, attitudes, and changed behavior necessary to improve their diets with better nutrition. Extension Program Assistants with this grant in Palm Beach County will teach general nutrition to families and youth; collect demographic and impact data for evaluation; and learn through on-the-job training skills and information related to teaching nutrition to low-income audiences. This position collaborates with the administration, faculty and staff of the School of Forest Resources and Conservation to provide professional support and advisement on all pre-award grant functions within the School. This position is responsible for providing guidance to the Principal Investigators/Project Managers by analyzing their grant proposals and corresponding budgets. Located in Balm, FL, Hillsborough County, the successful applicant for the Biological Scientist II position will rely on relevant experience to perform a variety of tasks in the Tomato Breeding program. Responsibilities include conducting multiple breeding program operations and experiments under minimal supervision. The Department of Otolaryngology is seeking an OPS clinic assistant to work in an outpatient otolaryngology clinic. They will be expected to work primarily with our medical assistant staff, but may also be called upon to assist clinic providers (MD, PA, APRN) as needed. Job duties may include answering telephones, documenting appropriately in patients’ electronic medical record, greeting patients, filling out forms, handling correspondence, scheduling appointments. Additional job duties are likely to arise depending on daily clinic needs. Provides ongoing professional/clinical supervision of a Family Assessment Worker (FAW) and Family support Workers (FSW) (direct service workers). Maintains all support records, shadows staff, and develops and maintains knowledge of community resources of three counties (Alachua, Bradford and Union). Ensures ongoing programmatic adherence to UF and Healthy Families of Florida standards. Assists Program Manager as directed. This position assists with managing the daily functions of Operations Support Services for the Division of Enrollment Management. Primary responsibilities include resolving issues related to facility management, information technology, document processing, courier requests, travel, stock, and asset management. The Division of Enrollment Management provides campus-wide leadership in executing the strategic recruitment, admission, enrollment, records management and student finance functions for the University. The Division is headed by the Vice President for Enrollment Management and includes the Offices of Admissions, Student Financial Affairs and the University Registrar. The successful candidate provides leadership for the positive planning of resources and processes to ensure effective operation that impact student enrollment and academic progress. This position serves as part of a centralized team within the Division of Enrollment Management to provide student-focused enrollment services for UF Online students in the Enrollment Management OneStop Center. Act as a liaison between enrollment coaches and enrollment service entities on campus to answer enrollment related questions. Track admission applications, build transfer equivalency tables, answer student-specific financial aid questions, assist with registration and academic policy issues. Research student issues and communicate with enrollment coaches or directly with student. Remain current in Enrollment Management processes, federal and state updates, and new technologies. Responsible to the Associate Director of the UF Online Enrollment Management OneStop. The Department of Pediatrics Genetics at the University of Florida College of Medicine is seeking a laboratory technologist. It is an excellent opportunity to become a part of a research team to investigate pathogenesis and therapies for devastating lysosomal diseases of children, for which no treatments are currently available. The primary responsibility of the technologist will be to perform experiments related to validation and characterization of small molecules regulating pathogenic cascades in lysosomal diseases. Moreover, the technologist will conduct studies aimed at discovery of novel therapies for these diseases, such as validation of the candidate compounds from the prior high-throughput screens by using primary cells from different patients and animal models. Because of the nature of this work, schedule flexibility is required. Located in Balm, FL, Hillsborough County, the primary responsibilities of the Agricultural Assistant II will be to support the tomato breeding program by performing various tasks, including crop management, planting, harvesting, seed extraction, hybridizations, and sample collection.